I just can't live without it. The harder I try the more I eat so I'm not trying to resist, i've just accepted it's my vice. I'm an 85% lover and in a phase of loving Vegan meals I could have bigger problems, right? My latest find to satisfy my sweet tooth is totally share worthy so here I am dedicating a whole paragraph to them. 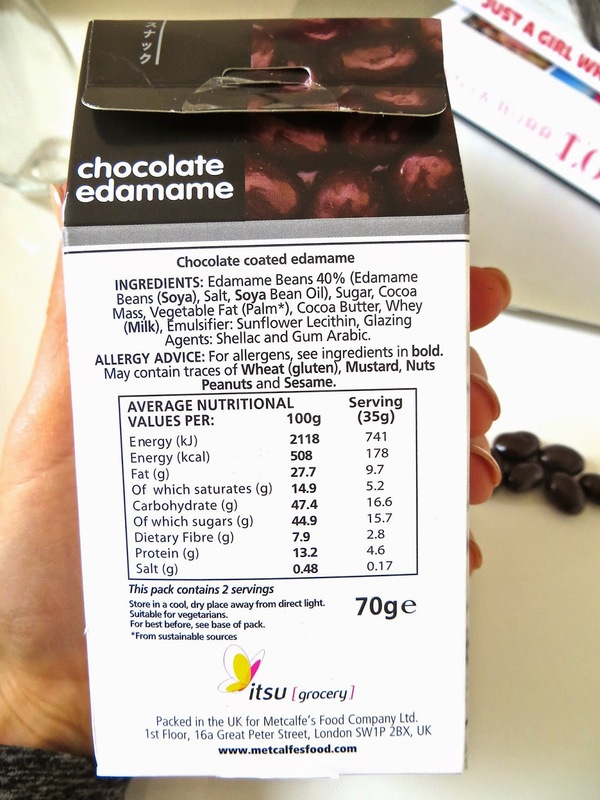 Itsu have managed to create the most perfect balls of "good" soya protein, fibre filled, dark Belgian chocolate coated bliss. They do contain dairy so sadly not Vegan friendly, but as far as sweet treats go, they aren't too bad nutritionally. 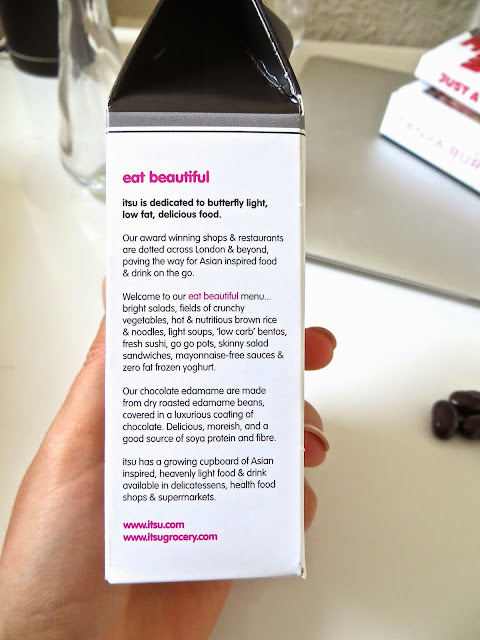 The brand are known for their Eat Beautiful (check them out here) slogan and practicing what they preach in their products. 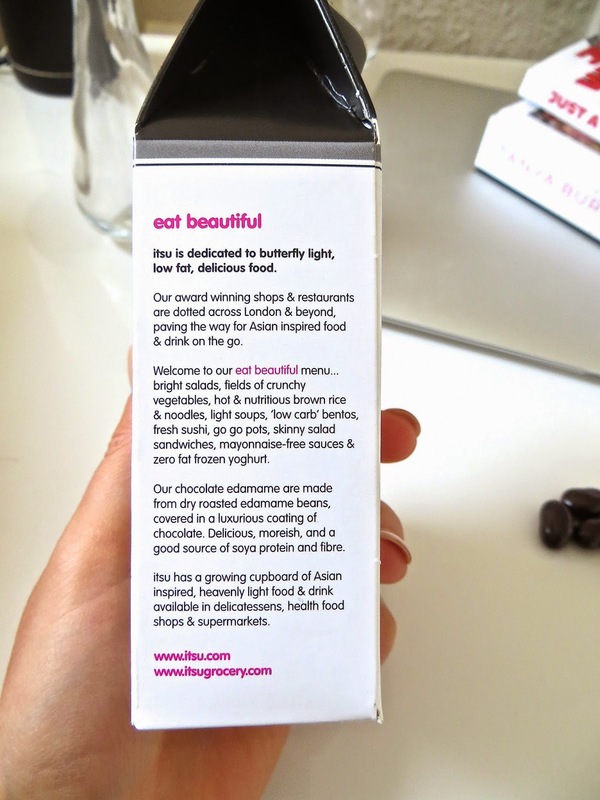 They aim to produce lower calorie, lower fat and more nutritionally dense snack foods and light meals and having sampled many snacks from them, they certainly deliver. I purchased by beautiful beans from Waitrose and they cost £1.07. Next on my list are the seaweed thins and rice cakes! Don't forget you can follow me on Bloglovin and Instagram to keep up to date!